Andre M. Canfield is an integral member of the paralegal team at Hendrickson & Long, PLLC. With ten years of experience in asbestos and silica litigation and settlement, Andre is part of a successful team of attorneys and support staff handling toxic tort matters. 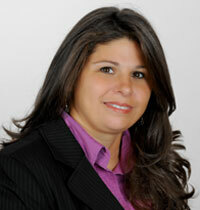 She also has eight years of experience as a paralegal assistant and legal file clerk. Andre attended Prestonsburg Community College, now known as Big Sandy Community & Technical College, in Prestonsburg, Kentucky.